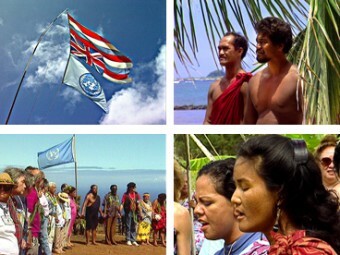 Over twelve days in August 1993, the United States and the state of Hawai‘i were put on trial for crimes against the original people of Hawai‘i, the Kānaka Maoli, by the People’s International Tribunal Hawai‘i. This panel of international judges was convened to hear charges of genocide, ethnocide, the taking of our sovereign government and the destruction of our environment. This transcript covers the tribunal’s two-day proceedings on the island of O‘ahu. Te Moana Nui a Kiwa Jackson, Esq.